We’re back in Quebec City today. This was taken from my hotel room at the Chateau Frontenac. What I really liked about this view were the lines of the snow-covered sloping roofs. I used Topaz B&W Effects to convert the image to B&W and increased the contrast in order to accentuate the lines. A quick post today as it’s shaping up to be a busy one. 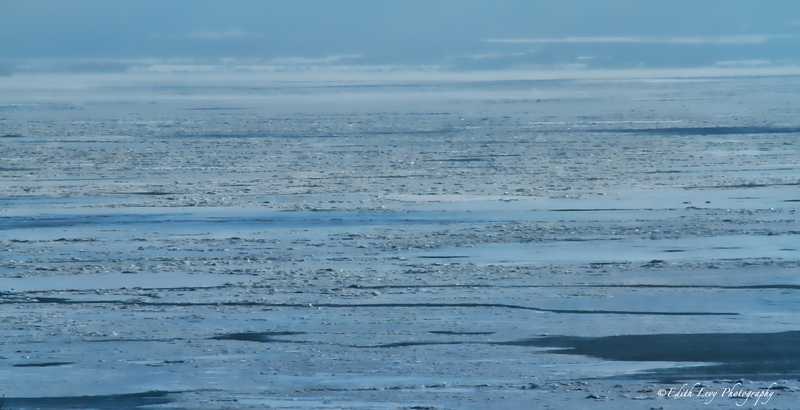 This is another shot of the frozen waters of the St. Lawrence River. This is one exposure and I applied the Clarity filter in Topaz Adjust to give the ice a little more of a crystallized look. I then cropped it into a panorama. 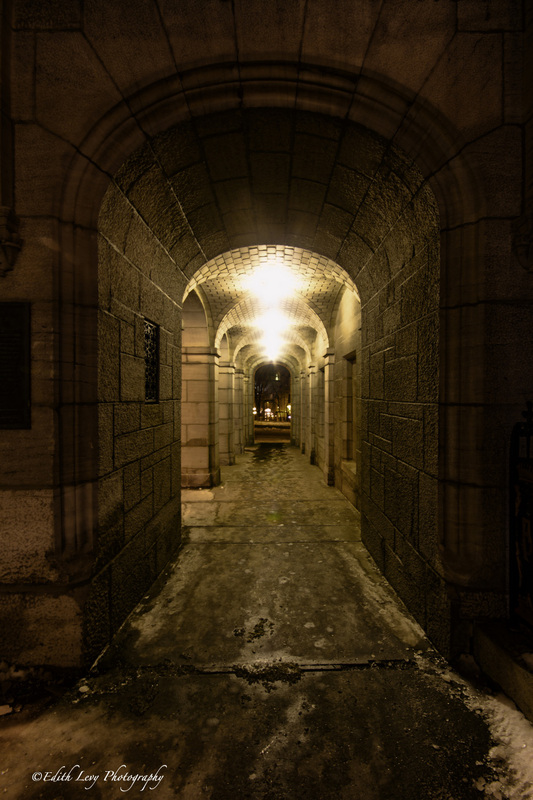 This walkway takes you from the main entrance of the Chateau Frontenac to the street. While my family was nice and toasty in our hotel room, I the intrepid photographer braved the cold and wind to get the ultimate shot!! Oh who am I kidding I lasted less the 10 mins before I couldn’t feel my fingers. I was able to get a few brackets of this scene before I headed in. 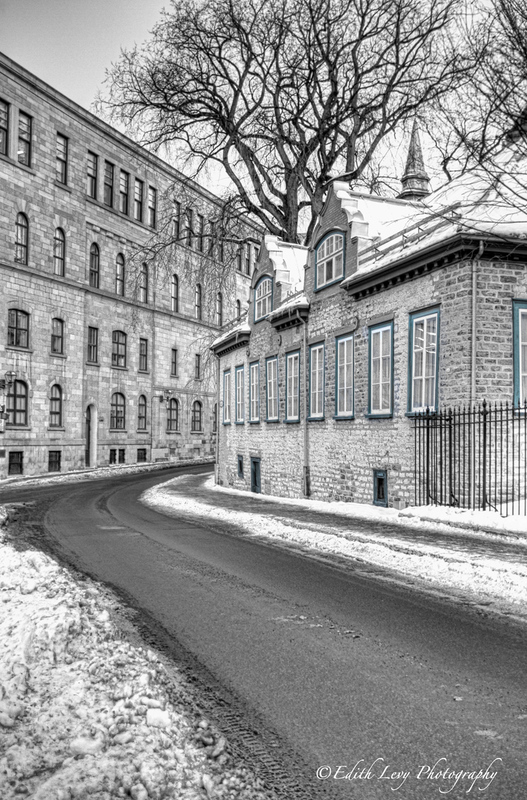 Quebec City’s “old city” is a charming place full of heritage building, cobblestone walkways and quaint restaurants. Walking around really reminded me of being in Europe and of course with French being spoken around me this illusion wasn’t a far stretch. It was a very cold day (did I mention that before) with a dull grey sky but as we were walking back to our hotel I had to stop and take this shot. I really liked the way these 2 buildings looked like they were intersecting from where I was standing. I converted this to B&W using Topaz B&W Effects and then used the local adjustment tool to bring back the color in the window trim. For possible savings on your next vacation to Quebec, use this Orbitz coupon code.